Fostered with a team of highly experienced professionals, we are offering our clients a superior quality array of Double Helical Gear. 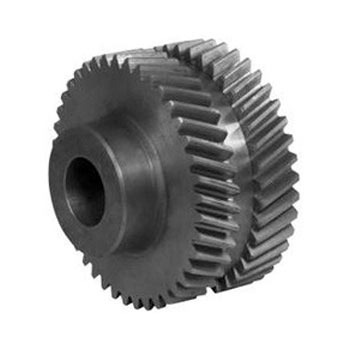 Available in varied specifications as per the specific application requirements of clients, this gear is manufactured using high quality raw material and cutting-edge technology as per the international quality standards. Our valuable clients can avail this gear from us at very nominal rates.